Astilbe arendsii 'Bridal Veil' is a classic white. 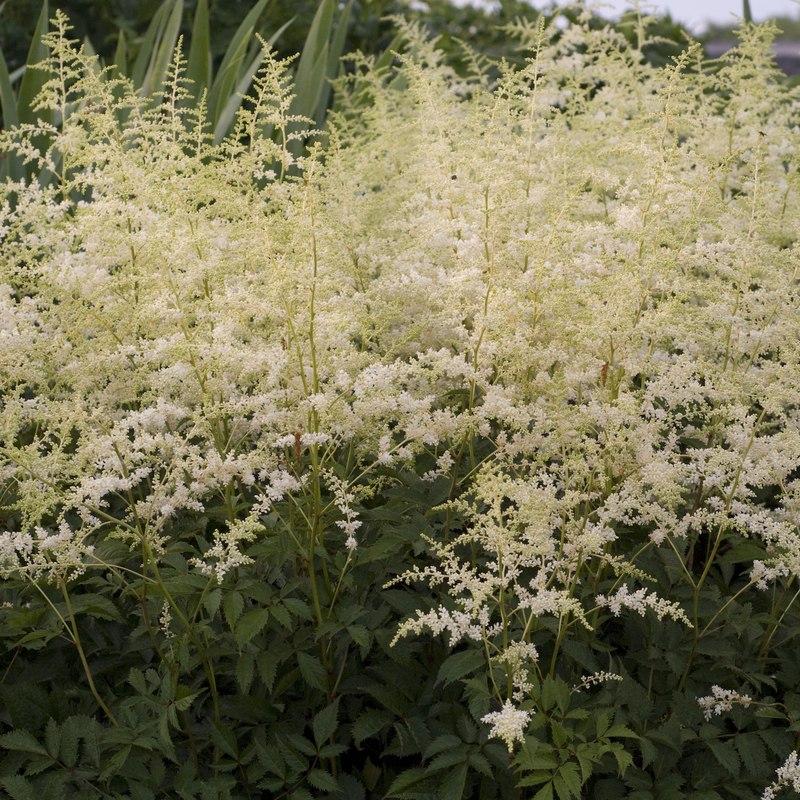 This award-winner features lacy white panicles that gently droop at the tips, lending a frothy look to the clump. The deep green, glossy foliage is beautiful even when flowers are not present. Known as 'Brautschleier' in Europe. 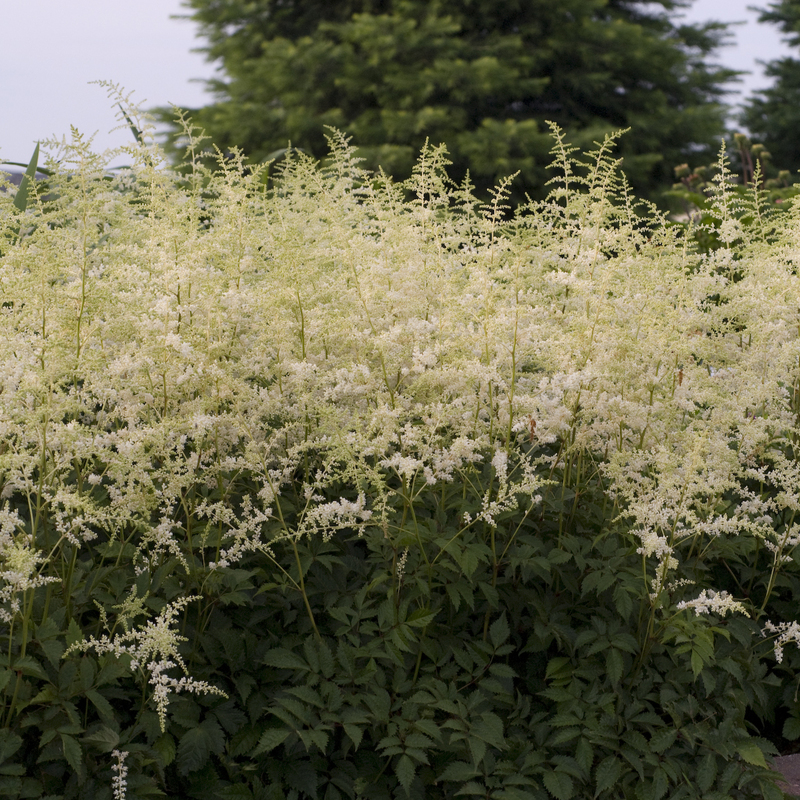 False spirea.